The Society of Mary’s purchase of a property in Johnsonville is to be used as a base and outreach centre for Challenge 2000. The joint announcement was made by Fr David Kennerley sm, Provincial of the Society of Mary, and Steve O’Connor, Challenge 2000 Director. Fr Kennerley sees the initiative as part of the Society’s ongoing commitment to working with youth and its support of Challenge 2000. The new centre gives Challenger 2000 a unified base to offer a wider range of services and a chance to develop other ministries, including an alternative education college, youth development and youth ministry programmes. Calling it “a dream come true”, Director of Challenge 2000, Steve O’Connor says the organisation is “absolutely delighted” with the purchase. “It’s something we have been hoping and praying for,” Mr O’Connor said. Mr O’Connor called it an excellent example of a collaborative gospel partnership in action. “We look forward to the official opening and shift mid-year and thank the Society of Mary for this huge commitment,” Mr O’Connor said in a statement. The initiative is also welcomed by Archbishop of Wellington, Cardinal John Dew. Labelling the move “significant” Cardinal Dew describes Challenge 2000’s work “wonderful”. “This will enable Challenge 2000 serve even more young people and their families,” Cardinal Dew said. 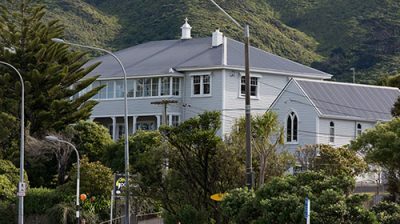 The building was formerly a Brigidine convent in Johnsonville, Wellington. Sr Anne Phibbs along with other Brigidine Sisters who previously lived at the convent said they are delighted their old home will be used by Challenge 2000.